Dr Pandit Palitkar Memorial Prize for standing first in first MBBS university examination in 1995. Dr Bhalchandra Mukand Dandekar Memorial Prize for standing first in the subject of Ophthalmology in third MBBS university examination in 1998. Dr R L Bhalchandra Memorial Prize for securing highest marks in MS (Ophthalmology) university examination in 2003. Rare achievement of clearing 2 part ICO (International Council of Ophthalmology Examination in Basic and Clinical Sciences in Ophthalmology) in one go in 2003. 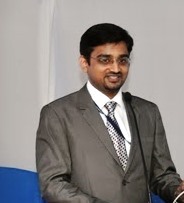 He then moved to Sankara Nethralaya Chennai India’s largest eye hospital and underwent 24 months fellowship program in General Ophthalmology and trained under prominent ophthalmologists like Dr K Ravishankar, Dr T S Surendran, Dr PremaPadmanabhan, Dr G Sitalakshmi, and Dr L Vijaya. During fellowship period actively participated in various international and national conferences. Further in pursuit of academic excellence, in the year 2008, after successfully clearing the examination he was conferred with FRCS (Glasgow) . As a recognition of exception performance, was recognised as the Best Associate Consultant for the year 2008 and conferred the Dr TLK Row Endowment award. He further got trained under Dr PremaPadmanabhan ( Director Cornea and Refractive Services, Chennai) for Refractive surgery. First to use of femtosecond Lasik i.e bladeless Lasik in EAST. Since 2014 Dr Sagar is attached with BB eye foundation and routinely doing standard lasik , femtolasik and implantable collamer lens with immense success. 1) In AIOS annual conference 2002 at Ahmedabad, made a presentation on “Disinfection techniques & Management of Biomedical Waste” in an instruction course on ‘hospital management’.2) Poster presentation on ” A rare case of infiltrated optic neuropathy” at 52nd TNOA conference at Tirunelveli in August 2004. 7) Conducted instruction courses on refractive surgery and Implantable collamer lens in OSWB (state conference West Bengal ) in 2012 -13. 3) Comments on lift and crack technique for risky cataract cases – Sagar Bhargava, Mona Bhargava. Cataract Refract Surg. 2010 Sep;36(9):1621-2; author reply 1622-3.